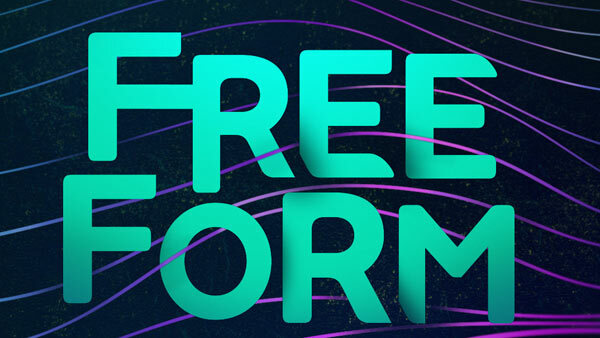 Los Angeles -- The ABC Family network is pointedly getting rid of the "ABC" in its name when it makes the transition to the Freeform network on Tuesday. Most attention has been paid to the removal of "Family" in the name change. "Family" was deemed unhip for the Disney-owned network that is focused on reaching women aged 18 to 34, or the group in between "their first kiss and first kid," said network chief Tom Ascheim. The sense of discovering something new on their own is important to people in this age group, and having a well-known brand like ABC or Disney in the name plays against that instinct, he said. With an eye to the future, Ascheim said he doesn't necessarily want the Freeform brand associated just with a television network. In focus groups, consumers were asked what they thought of the name if it was tied to a clothing line or streaming service, for example. The name change is ushered in with a marathon of episodes of "Pretty Little Liars," ABC Family's most popular show, and a new episode on Wednesday. Ascheim said the network is also working with pop star Nicki Minaj on a comedy about her life growing up.